Since 2008, Dana Point Farm in Berks County, PA has dominated the Pennsylvania thoroughbred breeding industry. Owned by Gayle Gerth and operated by barn manager Maria Vorhauer, Dana Point quickly became the gold standard in racehorse breeding, foaling, training, and sales. 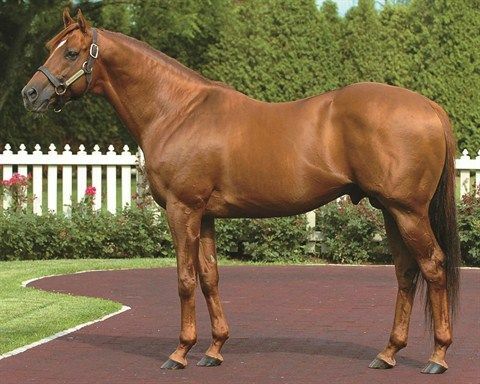 The 60 acre Lenhartsville, PA facility has stood multiple winning stallions over the years, including Wiseman’s Ferry, sire of 2 time Breeder’s Cup and Horse of the Year winner, Wise Dan. Mare owners from across the country have brought their horses to Dana Point for outstanding care during pregnancy and foaling, and the farm has produced countless winners on the track. Over the past 8 years, Dana Point Farm has flourished and become a household name for those in the Pennsylvania thoroughbred racing community. However, all good things must come to an end, and owner Gayle Gerth has decided to move on from this chapter of her life and sell the farm. It has been purchased by up-and-coming saddleseat trainer Alicia Owens, who will now call the facility home along with her string of Morgan and Saddlebred show horses. While it is a bittersweet time for Gerth and Vorhauer, Dana Point Farm will continue to be a place where horses at the top of their sport will be cared for and trained. Owens is building an equestrian legacy of her own, having already produced multiple regional, national, and world champions in the saddleseat discipline. She has transformed the farm from a facility focused mainly on breeding to a farm where the primary goal is to train horses and riders for the show ring. Poised for continued success, Owens looks forward to the future in her new Lenhartsville home.